America was founded by strong believers in Jesus Christ. It was the world's greatest example of freedom and Christian principles. It befriended God's Chosen People, both before and after Israel was reborn as a modern nation. It was blessed by God in keeping with the promise given to Abraham. As a result, our nation is in danger of God's judgment. But like the biblical example of Nineveh, whose people repented in Jonah's days, there could be a great revival first. We are praying for this! Dec. 4, 2014 - In Decision Magazine Franklin Graham says that our current American society is waging a war on Christmas because of hatred of Christianity. "The war on Christmas is a war against Christ and His followers. It's the hatred of our culture for the exclusive claims that Christ made." He cited examples of prejudice against Christmas by stores, schools and communities. Meanwhile the Alliance Defending Freedom (ADF) sent memos to 13,000 school district administrators reminding them that freedom of Christmas expression is constitutional. She says Americans should be thankful for our nation's godly Founding Fathers. A grand jury reached a decision Monday in the case against the Ferguson police officer who shot and killed an unarmed black teenager in August, touching off nationwide protests and cries of police brutality. Nov. 24, 2014 - The decision from a Grand Jury in Fergeson Missouri is due any time on whether or not to press charges against Darren Wilson, the white suburban St. Louis police officer who fatally shot the black 18-year-old after a confrontation in August. Defense Secretary Chuck Hagel will officially resign amid growing pressure from the Obama administration over his handling of several international crises, Fox News has confirmed. Hagel, 68, is expected to meet with President Obama at the White House at 11 a.m.
Nov. 5, 2014 - Republicans held on to their existing seats in the Senate and picked up more than six more to take control of the Senate. Republicans also are projected to retain control of the House -- and gain at least 12 seats, expanding their majority beyond their post-World War II record of 246 seats set in 1946. Republicans will be able to challenge Obama's agenda in the final two years of his term, launch investigations hearings, hold up key appointments, and pass GOP-favored legislation (although the president may veto their efforts). In New York, the traditional roll call of the victims began at the World Trade Center site shortly after 8:46 a.m., the same time 13 years ago when the first plane hit the north tower. The event was closed to the public except for families of the victims. 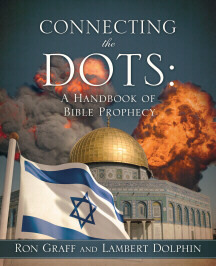 Sept. 7, 2014 - Evangelist Greg Laurie answers why America does not seem to be mentioned in End Times prophecy. He admits that no one can say for sure, but even though many modern countries can be identified in prophecies, there are two possible reasons that our country may not be mentioned. One of these reasons would be that we have been reduced in power and importance by God's judgment on the nation for straying from our historically biblical roots, and the other possibility would be that we have experienced another much-need revival. In the judgment scenario, it is possible that the U.S. will have been crippled by a nuclear attack before the final End Times conflicts begin. It is also possible that the nation will have just lost its importance on the world scene, and will have declined like all the former empires in history. In some ways, things have never been worse morally. Yet there is great opportunity for the gospel. There is an open door for believers to go through to reach out to other people. If there is a great End Times revival the number of born-again Christians will increase. Then, when the Rapture takes place, the nation will suddenly be left without many of its best citizens, and could become less relevant on the world stage. Sept. 2, 2014 - One of the problems conservatives cite with "Common Core" standards is that English teachers are being expected to teach U.S. History, and in the process, the curriculum leaves out essential historical information. For example, there are no themes on federalism, separation of powers, the Federalist Papers, or the Gettysburg Address. The curriculum doesn’t ask teachers to teach about Benjamin Franklin and contains no mention of Thomas Jefferson or James Madison. Another example is the fact that the September 11, 2001 disasters are never referred to as terrorist attacks. Sept. 2, 2014 - According to the National Council for the Social Studies, the requirements of the No Child Left Behind Act and the Common Core State Standards (adopted by over 45 states) has caused an increased emphasis on mathematics and reading. This has nearly eliminated time to teach Social Studies. Rush Limbaugh made a rare plea to his audience to see Dinesh D'Souza's America, a film that opened in 1,105 theaters on Wednesday and that the nation's top radio talk-show host likened to Frank Capra's It's a Wonderful Life. Limbaugh explains that the movie talks about the enemies of America. There is a large anti-American movement in the country. The movie makes the point that Obama didn't create that movement. Instead, the movement created Obama. Jun. 6, 2014 - Today marks the 70th anniversary of D-Day, the terrible but successful battle on the shores of Normandy, France, that turned the tide of World War II. 156,000 Allied soldiers, supported by many more sailors, airmen and marines, embarked on the long-awaited invasion of occupied Europe. This was an Allied effort, but American fighting men bore the brunt of the combat and the resulting sacrifice. In April 2013, a group of New York atheists filed suit challenging the national motto inscribed on U.S. currency,. . . They argued it violates the separation of church and state and their free exercise rights. Yesterday the Second U.S. Circuit Court of Appeals affirmed a lower-court decision that the statutes at issue don't violate existing Constitutional laws. May 15, 2014 - The 9/11 Memorial Museum is being dedicated today below ground level under the place where the Twin Towers once stood. It is a massive shrine to honor the memory of the nearly 3000 people who died there. He spray-painted arrows around the site pointing to "Gods House'' (sic). Recovery and rescue workers came by on their breaks; some wrote the names of the dead or their units on the cross. President George Washington, accompanied by Congress, proceeded to St. Paul’s Chapel where, as one of his first official acts, he offered a prayer of dedication to God on America’s behalf. Read the rest of the article for inspiring stories of past leaders and encouraging words from some of our current politicians. "...thus involving government in religious matters to a far greater degree than is the case under the town's current practice of neither editing nor approving prayers in advance nor criticizing their content after the fact." His latest film, "America," is to be released July 4 and challenges the left's view that the United States has too much power in the world. . . D'Souza said his film explores why America is a great nation. Peter Marshall Ministries - Author: "The Light and The \Glory"